All the major stats and facts from the first day of first Test between Australia and India in Adelaide. 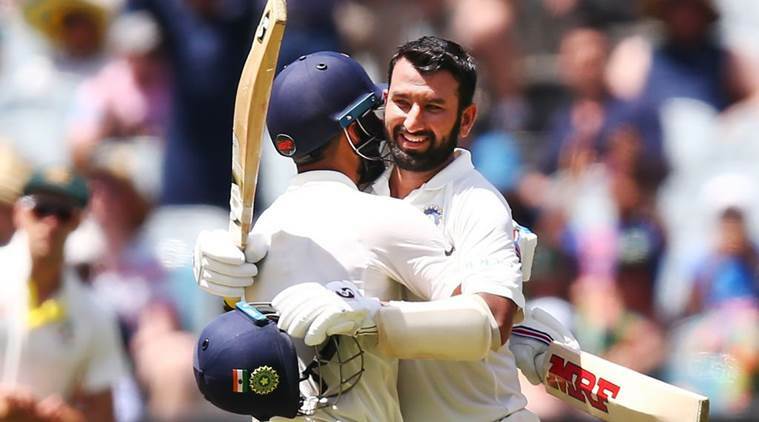 Cheteshwar Pujara's incredible knock of 123 runs helped India to fight back in the first Test match against Australia in Adelaide as they finished day one on 250/9 after being 4 down for just 42 runs. On a batting track, India opted to bat first but KL Rahul, Virat Kohli, and Ajinkya Rahane all got out while playing some reckless shots and India lost 4 wickets for just 40 odd runs. Cheteshwar Pujara (123) was rock solid at the other end, and with the little support from Rohit Sharma, Rishabh Pant, R Ashwin and Mohammad Shami he rebuilt the innings and helped India to post a respectable total and completed 5000 Test runs before getting run out on the last ball of the day. 16th Test hundred of career - joint 9th most for India. 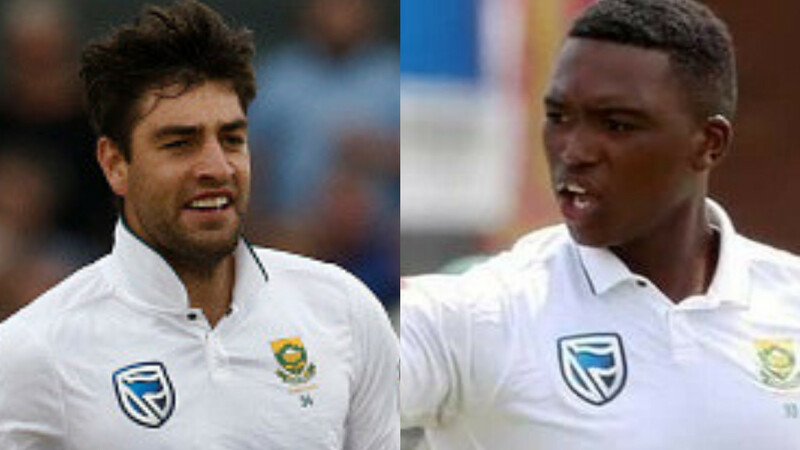 6th Test hundred away from home. 3rd Test hundred outside Asia. 3rd Test hundred against Australia. 1st Test hundred in Australia. 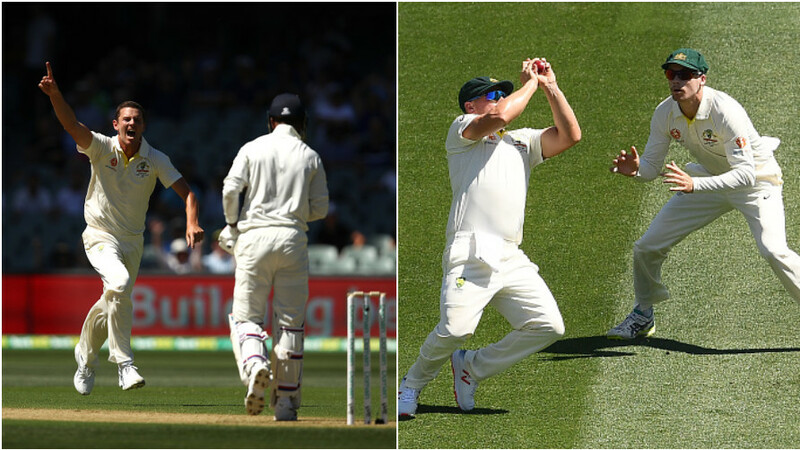 2 - Pat Cummins has dismissed Virat Kohli twice in just four balls in Test cricket and without conceding a single run. 4 - Cheteshwar Pujara became the fourth Indian number 3 batsman to score a Test hundred in Australia. 8 - Cheteshwar Pujara was run out for the 8th time in his Test career. Only Sachin Tendulkar (9) and Rahul Dravid (13) have been dismissed run out more than him for India. 12 - Cheteshwar Pujara, when on 95, became the 12th Indian batsman to achieve the milestone of 5000 Test runs. He has scored 5028 runs at an average of 50.28 in 108 innings with 16 hundreds and 19 fifties. 123 - Runs scored by Cheteshwar Pujara are the third most runs by a visiting batsman on the opening day of a Test series in Australia.